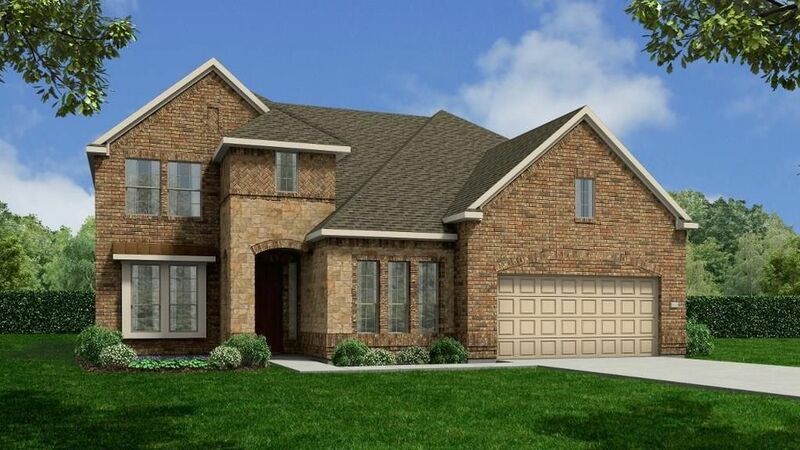 2 Story, 4 Bedroom, 3 1/2 Bath, Study, Formal Dining Room, Butler's Pantry, Game Room & Media Room Up, Fireplace, Granite Countertops in Kitchen, Stainless Steel Appliances with Microwave, Ceramic Tile in Dining Room, Family Room, and All Wet Areas, Large Kitchen Island, Curved Staircase with Wrought Iron Spindles, 8' Interior Doors on First Floor, Upgraded Lighting and Trim Packages, Stone Accented Elevation, Large Covered Patio with Built-In Gas Line, Sod in Back Yard, Irrigation System, Full Front Gutters, Garage Door Opener, Environments for Living Home, plus more...AVAILABLE JUNE/JULY. Directions: From Hwy 59 South, take the Richmond/Rosenberg 762 exit, make left at 762, right at FM 2977/Minonite Rd. The entrance to the Walnut Creek Community (Irby Cobb Blvd.) will be on your left. Model located at 7319 Irby Cobb Blvd.